SUGAR PRICE TO FOUR YEAR HIGH DUE TO GLOBAL DEFICIT. The markets remain volatile as we near the end of the Brazilian crop and start the northern hemisphere beet and cane harvests. Sugar prices have been slowly rising reacting to forecasts of two consecutive deficits in 2015/16 and 2016/17. Trading at 19.5-20.5 c/lb before significantly rising to a four year high at 24 c/lb, double the price to what sugar was traded at one year ago. Global production in 2015/16 reached a five year low at 169 mln tonnes, the biggest decline since 2009/10. Estimates for global production in 2016/17 are only slightly improved at 177 mln tonnes after last season’s sharp decline. The world market will remain in deficit during 2016/17. Global sugar market will remain in deficit during 2016/17. The 2016/17 EU sugar beet crop will be the last grown to the production quota system. Northern sugar beet campaigns have just begun in Germany, Netherlands, Poland and the UK. Beet sowings earlier in the year were delayed due to wet weather, this has resulted in lower beet yields. Warmer conditions in late summer, early autumn have seen farmers leave beets in the fields to increase chances of recovery. The mild weather will also increase beet processing at the factories. Early estimates have reduced the sugar production for 2016/17 to 16.5 mln tonnes despite a 9.5% increase in EU planted area. Finland, Italy, Spain and the UK all reduced their beet cultivation to prevent over production. This has resulted in diverse sugar prices traded within the EU. The UK produced 1.0 mln tonnes in 2015/16 and is estimated to produce 0.9 mln tonnes in 2016/17 from a reduced contracted area. Russia produced 5.6 mln tonnes in 2015/16. Beet harvesting commenced in July, with favourable weather conditions, yields are higher this year, and planted area has increased by 5% which could see sugar production reach 6.1 mln tonnes. If this figure is achieved Russia will become self-sufficient for the first time. Favourable weather and plenty of stand-over cane allowed crushing to start early in March but was disrupted by wet months in May and June, followed by a long period of drought in the following months. This has impacted on agricultural yields and has lowered the sucrose content in the canes. Despite this the pace of the harvest has been strong, around 27% above last year. 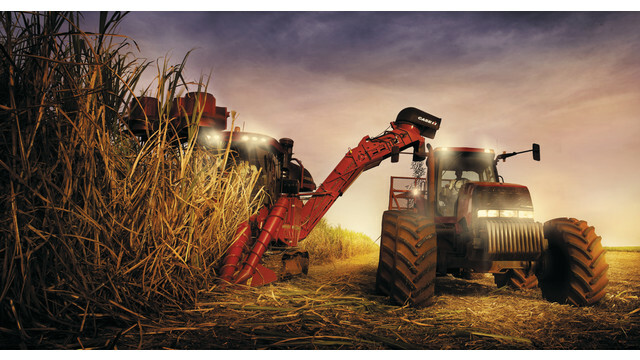 The tail end of the harvest may be limited, so mills have been maximising their sugar mix over ethanol while they can. Estimated sugar production remains around 34.8 mln tonnes for 2016/17. A long drought damaging newly planted canes has reduced any potential for an increased crop, despite rain in the last few months, so estimates remain the same as last year at 10.3 mln tonnes. Improved rains during the monsoon season (which have now ended) has seen dams mostly full, which will allow the remainder of the cane planting to be completed. Higher world market sugar prices compared to stable internal prices are restricting much needed imports to offset reduced stocks. Significantly the start of the 2016/17 crush will begin shortly so the quality of the sugar, any change in government policy on import duty, currently at 40% and subsequent internal market prices will dictate the demand for world market sugar. Estimates for the 2016/17 crop are around 21 mln tonnes, a drop of 3 mln tonnes over 2015/16, a second consecutive reduction. A bumper harvest is predicated for 2017/18. Continuing drought for a second successive year is affecting the cane crushing forecast for 2016/17 and sugar production will be the same as last year at 1.5 mln tonnes. Swaziland a major supplier to the EU will see sugar production drop to 500,000 tonnes in 2016/17 from 700,000 tonnes last year. Despite a dry start to the year cane crushing began in May. Rains in the last quarter have disrupted harvesting but millers are expected to meet crushing targets with sugar production estimated to rise to 5.2 mln tonnes. Improved cane yields and higher sugar extraction will result in Mexico’s sugar production being at least 6.3 mln tonnes. The Mexican market is in surplus with high prices, so much of this sugar will end up being exported onto the world market, which to date has failed to materialise. If the sugar is not sold, the mills will end up paying the cane growers an extra 20% in the price for the cane. In the US they are predicting a record crop with beet sugar production rising to 4.8 mln tonnes and the cane crop rising to 3.6 mln tonnes, resulting in a reduction of the Mexican quota to 860,000 tonnes. The Chinese government has released 350,000 tonnes from their strategic stock, following last year’s poor harvest, which will reduced the need for imported white sugar. This the government hopes will keep domestic prices stable for the 2016/17 season. Beet sugar production is estimated to rise to 1.0 mln tonnes. Cane production is estimated at 9.5 mln tonnes due to increased planted area.